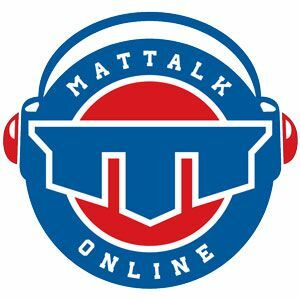 The Mat Talk Podcast Network is the home of the most dynamic on-demand audio content in the world showcasing all levels of Olympic, college and high school wrestling. Join hosts Garrett Carr and Clay Sauertieg as they talk all things related to Penn State Nittany Lion Wrestling on the Black Shoe Diaries Matcast, part of SB Nation and the Mat Talk Podcast Network. Bonus Points is the official podcast of USA Wrestling and TheMat.com hosted by Richard Immel. Sponsored by Liberty Mutual, Bonus Points offers interviews and insight from USA Wrestling, the National Governing Body for wrestling in the United States and will feature coaches, athletes and notable names from the sport of wrestling. Part of ... See More the Mat Talk Podcast Network. Get the inside scoop on everything associated with the wrestling program at Buena Vista University. Interviews with coach Jeff Breese and his staff along with news, reviews, previews and interviews on everything related to Beaver Wrestling. Part of the Mat Talk Podcast Network. The home for Greco-Roman wrestling news and features, FivePointMove.com, with now the only wrestling podcast centered around the Olympic style of Greco-Roman wrestling. Promoting the sport, promoting the athletes, promoting American wrestling. The National Wrestling Hall of Fame and the Mat Talk Podcast Network presented Legends, a series dedicated to telling the stories of wrestling's greats. Featuring Outstanding Americans, Distinguished Members, Order of Merit and Medal of Courage winners, Legends will chronicle the stories from the most legendary figures in Olympic, ... See More college and high school wrestling. Live version of the Short Time Time Wrestling Podcast recorded typically around lunch time talking to people about college, Olympic and high school wrestling in a conversation that typically emerged out of something we saw on Twitter or a random text message. The guests are never planned that far in advance and it's a way to spend ... See More your lunch hour listening to the off-the-cuff musings of Jason Bryant of the Mat Talk Podcast Network and any number of guests around the world. The good shows will be thrown into the main Short Time Wrestling Podcast ... the not-so-good ones will probably just stay here. Get the inside scoop on everything associated with the wrestling program at the University of Maryland. Interviews with coach Kerry McCoy and his staff along with news, reviews, previews and interviews on everything related to Terps Wrestling. Check us out at www.marylandmatchat.com. Part of the Mat Talk Podcast Network. Richard Mann of InterMatWrestle.com talks the world of wrestling with members of the media to touch on the hot topics within the sport. Hosted by Kyle Klingman and Andy Hamilton of Trackwrestling.com, On The Mat talks to a number of guests related to the national wrestling scene. Part of the Mat Talk Podcast Network. Wrestling is the world's oldest sport. In Arkansas, it's the newest. Follow the University of Arkansas at Little Rock as it starts up a brand new sport in a place that hasn't seen major college wrestling in half a century. Rocked up follows the fledgling wrestling program as it begins from scratch with a start date of ... See More November 2019. Produced by the Mat Talk Podcast Network. Featuring the twice-weekly Short Time Wrestling Podcast hosted by three-time wrestling broadcaster and journalist of the year, Jason Bryant, this show sets the standard when it comes to wrestling podcasts with news, reviews, previews and interviews from the top names in college, high school and international wrestling. A trip through the recent history of college wrestling from the perspective of a wrestling junkie. The Guillotine Grapevine is the official podcast of The Guillotine, Minnesota's oldest magazine and website dedicated to the state's youth, high school, college and Olympic-level wrestlers. Hosted by Mat Talk Online's Jason Bryant and publisher of The Guillotine, Jeff Beshey, The Guillotine Grapevine will discuss relevant ... See More topics and preview events in the Land of 10,000 wrestlers. The Guillotine is on the web at www.theguillotine.com. Part of the Mat Talk Podcast Network. With wrestling news, features, Q&A's and results from Trackwrestling.com, the Trackwrestling Podcast feed features Weighing In with Alex Steen and David Mirikitani and Mat Chat with David Mirikitani. Archived podcast from USA Wrestling that ran from November 2010 to April of 2012. Archived shows from the Wrestling 411 era of August 2008-August 2009 with hosts Jason Bryant and Kyle Klingman.